Alex concentrates his practice on renewable energy and infrastructure project finance, mergers and acquisitions, tax, and energy law. He’s advised clients on the development and financing of hundreds of megawatts of renewable energy projects and hundreds of millions of dollars of debt and equity investments. Alex focuses on structuring and negotiating complex renewable energy transactions including utility and corporate power purchase agreements and energy service agreements; capital raising and preferred equity investments; joint ventures and co-development agreements; project-level, hold-company, and back-leverage credit agreements; and tax- equity investments through partnership-flip, sale-leaseback, inverted lease structures. Alex also has extensive experience in the purchase and sale of renewable energy projects and project portfolios. 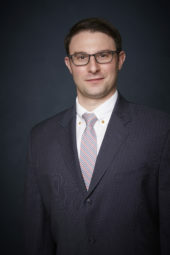 As a complement to his project finance practice, Alex regularly assists project sponsors with project siting, real-estate, permitting, and state, regional, and federal energy regulatory compliance, and he often advises clients on the negotiation of engineering, procurement, and construction contracts. Alex also maintains an active practice representing emerging companies and “clean-tech” startups.